When the journey results in the acquisition of new techniques, new vistas, when acquired techniques express traditional values, when shapes take on life in the very quintessence of colours, then… pottery becomes ceramics, and the potter becomes the ceramist. The « Hunziker Style » is a result of thirty years of trials and experiments… and is living proof of a daring blend of shapes and colors. 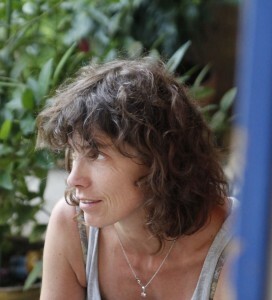 Since leaving Dieulefit, she has worked since 1989 in her own workshop in Poët-Célard, in the Drôme-Provençale region.